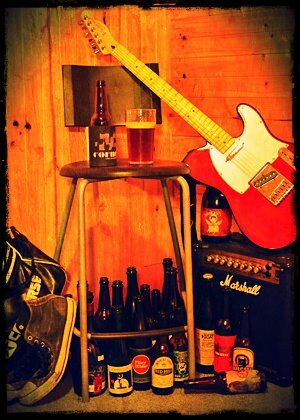 Inspired by a recent Beer Runner post for DRAFT Magazine – “8 gifts for the active beer lover” – I decided to quickly throw together a similar list but with Australian based gifts. As someone who loves beer, really loves beer, yet is also conscious about maintaining good health and fitness, the balancing/mixing of beer and exercise is forever front of mind for me. So here is a list of Christmas gift ideas that combine good beer and an active lifestyle, so we can enjoy our beer and our health. The guys behind Bridge Road Brewers and Bright Brewery are super fit mountain men who share a passion for cycling and mountain biking across Victoria’s High Country. With the Murray to Mountains Rail Trail (incorporating the High Country Brewery Trail) and the challenging mountains, the region around Beechworth and Bright is a very popular cycling destination. It’s also popular training spot for Australia’s Orica-GreenEDGE road racing team. Bridge Road’s Ben Kraus and Bright’s Scott Brandon also stage cycling events from their breweries. 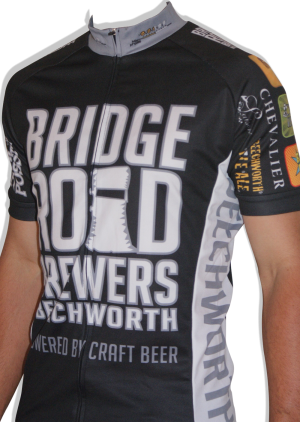 Both breweries sell their own branded jerseys for beer and cycling fanatics alike. You can buy the Bridge Road tops via their online shop. Also, all four Victorian High Country breweries (Black Dog Brewery and Sweetwater Brewery included) collaborated to produce the cycling inspired beer Rule #47. For $1,850.00 you can own or gift a Red Hill Brewery design Trigger Bros 9ft Malibu board. And once your morning surf is done, you can warm up by throwing on a Red Hill “Board of Mainstream Beer” hoodie. This beer has been brewed for quaffing (kinda*) before, during and after a bicycle ride (*sensibly, of course). 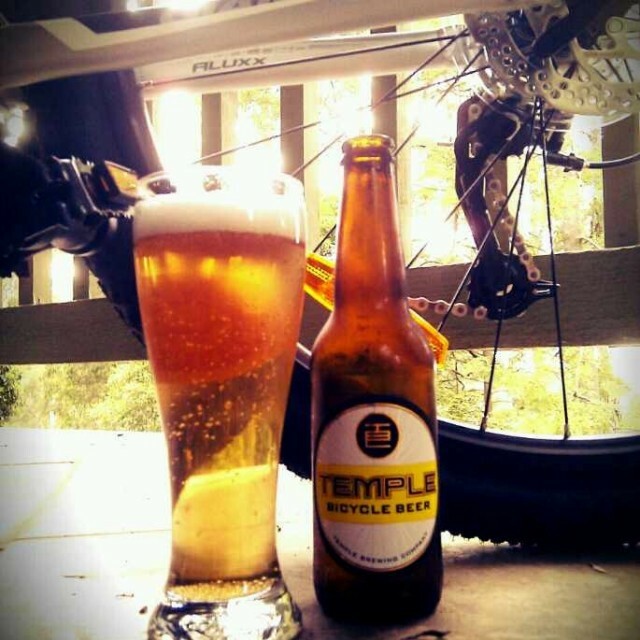 With their brewery located in the hip and casual cycling friendly inner Melbourne suburb Brunswick East, Temple Brewery wanted to give their locals a straightforward craft beer that would allow them to ride to and from the brewery without concern for not being able to stay on your bike for the ride home. It is a 4.2% abv Blond Ale that includes the use of lemony Sorachi Ace hops and has a salty, dry finish, making it refreshing and easy to throw down after a big ride. And if you’re cheeky, the 330ml bottles actually fit fairly nicely in bike bottle holders. I’ve done it, and loved it. Fellow runner, Darren “Doc” Robinson, names all his Doctor’s Orders beers after medical and physiological terms. 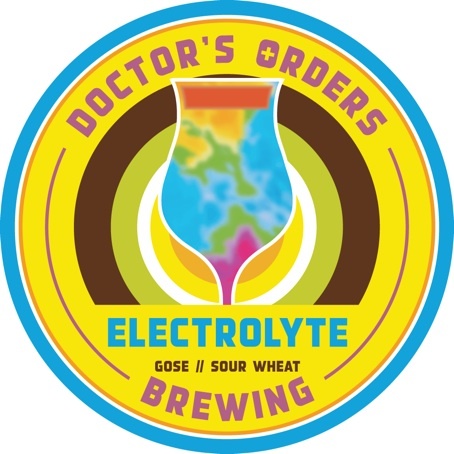 Electrolyte (an ionizing compound often used in sports drinks to help with rehydration) is a Gose style sour wheat beer, which you will find as a Spring seasonal on tap around bars in Sydney, Melbourne and Adelaide. Ok, so this is not a sports drink, but it’s what the Doctor orders. And if you’re not fit or active, you may need the Doctor’s Orders Defibrillator – an 8.1% bourbon barrel aged Doppelbock. I am constantly reading running related news and articles about the value of coffee both prior to a run and as a recovery drink. And then there’s the lycra brigade of weekend warrior road cyclists who flood Melbourne’s trendy cafes for a post ride latte. 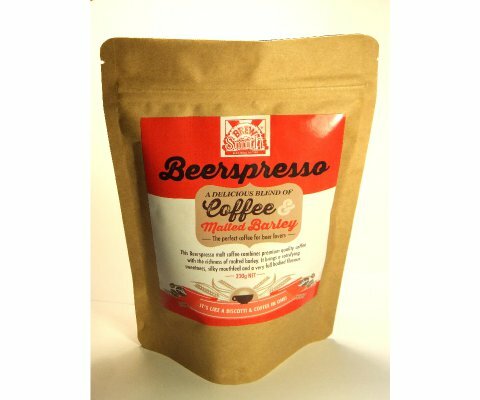 So, why not make it a Beerspresso malt coffee? The home brew innovators at BrewSmith in Melbourne have mixed the ingredients of beer and coffee together to create this blend of coffee and malted barley. It contains roasted and ground coffee beans plus Crystal and Chocolate malt and roasted barley. “It brings a satisfying sweetness, silky mouthfeel and a very full bodied flavour. It’s like a biscotti and coffee in one,” says the BrewSmith website. 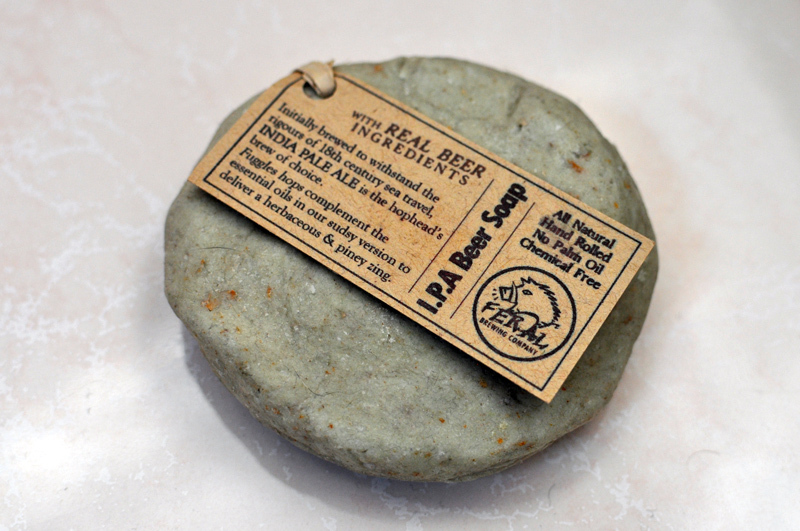 Borrowing a cue from the Beer Runner’s list, Australia has its own version of Stone Brewery’s beer soap. We found this quirky piece of beer merchandise whilst on holiday in south east Western Australia earlier this year. Along with caps and t-shirts, we bought Feral’s IPA soap over the bar at the Feral brewery in the Swan Valley. Get yourself clean and hoppy after a long run! It’s real craft soap. Hand rolled. chemical free and no palm oil has been used. 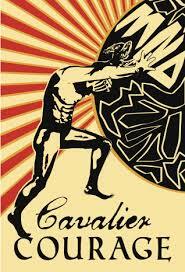 Brewed by Melbourne’s Cavalier Brewing, this beer was initiated by Dr Ian Davis. An active man in his mid-thirties, in 2011 Ian was diagnosed with Motor Neuron Disease, a progressive neurodegenerative disorder leading to ongoing loss of independence and increasing disability. Their collaboration produced an easy drinking Blond Ale developed to help raise awareness and funds for research into Motor Neuron Disease (MND). This beer aims to increase the global profile of this disease that can rob a person’s ability to be active, and also helps satisfy the true beer lovers thirst. Earlier this year, Ian also set out on a One Million Metre ride (1000kms) – Ride to Conquer MND – to further raise awareness of the disease and money for research into finding a cure for MND through cycling. Ian and his team captured the epic ride on film and are seeking to take their story to cinema screens across Australia and around the world, which you can find out more about on the indiegogo page for Legacy – A Ride To Conquer Motor Neurone Disease. 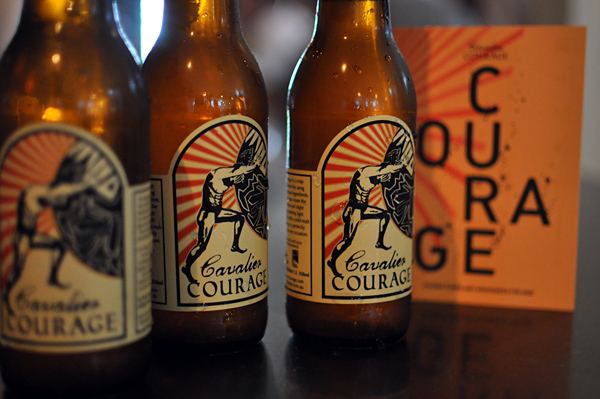 Help MND sufferers keep moving, buy and drink Cavalier Courage. Tags: christmas, fitne. Bookmark the permalink. Well, you are a dirty man.